If anyone asked you for the name of a font, chances are you’d name New Times Roman, and well… what else is there, right? Truth is, different fonts go almost unnoticed. They’re like subliminal messages, we hardly ever register them as being very different or important at all. They are part of the overall message our brains are receiving, and if chosen wisely, they blend in as if by some natural happenstance. So, while the only font you can think of is New Times Roman because that’s what all your school papers were required to be typed in, there is a whole library of different fonts that we visually receive every day. Choosing the right font for a business can be, uh, painful. Why is this such a complicated thing- font? And why exactly is it so important to choose the right one? I mean, a font is just an assortment of characters, all of one style. The definition makes it seem like the simplest thing in the world because the natural assumption is that you only need one that can be easily read. The words you choose, the message, is assumed as the more important feature. What Types of Fonts are There? Okay, so that question might sound confusing. You’re thinking that there are potentially thousands of types of fonts. In reality, there are thousands of fonts and only a few types. Serif fonts are a typeface that includes what is called a “serif”. It’s the iconic little flick at the edges of each letter. You’ve seen it on New Times Roman, at the bottoms and tops of each letter. This style is considered a classic, and perhaps a timeless type of font that dramatically alters a text. Because of the classic look of this font type, it is often chosen for a more professional look, but with the right font can also look right for retro projects or luxury brands. Sans Serif literally means “without serif”. Essentially, it’s a font with a more basic and modern look. This font is often the choice for business cards, logos, or for text that will be in fine print since it is cleaner and easier to read. This font type is also known as mechanistic, square serif, antique, or Egyptian. It made its mark in the nineteenth century, as printing of advertising materials began to boom and favored bolder styles that grabbed attention. The major identifying feature of this type of font is the thick, book-like serif. Technically this is a type of serif font that was used regularly in the nineteenth century. If you have ever taken a calligraphy class, you may see the similarities in this font type comparatively. The horizontal parts of each letter are thinner than the bold vertical sections on each letter. Also known as fixed-space font because each letter occupies the same horizontal space. It’s a font that arose with the very earliest computers when graphic capabilities were extremely limited. Entering text at this time required a regular grid of tiles, each able to display only one letter. It’s still used today by software text editors due to the necessity for readability of source code, which often relies on the distinction of individual symbols. Monospaced fonts are typically seen with typewriters as well, and because of that, it has a particular use in retro projects. As the name suggests, Display fonts are used for display, typically bold headlines. Display fonts are characterized by their bold quality. Since this type of font was originally designed for posters, there tend to be more options when it comes to design. They are often times more eccentric and can often be inspired by hand-painted signs and calligraphy. Created to replicate the fluid strokes of handwriting, often in cursive. Used for display or trade printing rather than for body text because of the strain they put on printing technologies. Originally, they were used in the eighteenth century to mimic the handwriting of masters like George Shelley, much of his work written in thin strokes by quill. What is the difference between Font and Typeface? Well, you know what font is the style of lettering, but what is typeface? Technically, they are the same thing. The font is the digitized version of what a typeface is, kind of. The term typeface comes from the days of metal type- when each letter had to be cast individually and at particular sizes and weights for traditional printing presses. Essentially, the typeface is the style or design of the lettering- say Times New Roman or the distinctive Century Gothic, or Century School Book- that we can identify by name. The font is the same thing, though much easier to select and implement because it is digital. Why Do Font Choices Matter? We touched on this earlier, but font choices matter because they play a major role in determining the success of your business. Just like everything in life, how we present ourselves creates assumptions about who we are. How you do your hair, the types of clothes you wear. Heck, it’s the reason we place so much importance on wearing brands, why teenagers fret about wearing the right things. Choosing the right font is the conscious effort to match your message with your purpose. Your designing a first impression. So, what do you want to say? How do you want people to perceive your business? Coca-Cola: I bet you can envision it’s signature font right now, an automatic image in your head. New York Times: It’s likely the only newspaper that uses its particular font. It has become an icon. Not just because of its font, but in part. When you think New York Times, you think of higher standards, quality writing, prestige. If it didn’t have that font, you’d imagine something completely different. Disney: Oh come on, we all know that whimsical script. These companies pay thousands of dollars for these impressionable logos, which are almost entirely reliant on the font. Something else worth noting, at times, companies pay for a new font to be commissioned just for them. This sometimes takes years, but it often results in worldwide popularity. Such is the case with the notorious Times New Roman. It was commissioned in 1931, in England, by The Times after its original typeface was criticized for poor readability by type designer Stanley Morison. It is now the standard typeface for every paper, book, newspaper… well, you know. It’s everywhere. Now, think of the myriad of ads and logos that make you think “cheap”. It’s a good question since there are a lot to choose from and many factors that go into determining which is right for your business. First thing first, if you don’t know your message and purpose, how are you to create anything? Be conscious of the fact that every font conveys certain messages in themselves. It’s the difference between a tuxedo and a Halloween costume at a wedding. That’s a hilarious mix-up. You don’t want one of those when representing your business. The resulting disconnect of a poor font choice that doesn’t match occasion or purpose can be bad for business as it detracts from your message. Attracting the attention of kids is different from drawing the eyes of adults. Men and women, the old and the young, particular things will catch them. Determine who you’re speaking to, and your message will go further. Remember that there are a lot of fonts that scrunch up and tend to look like a string of jumble rather than discernable letters, when the size of the font is reduced below 12 pt font, such as with business cards. You also want to consider what will display well on screen. Serif typefaces do not display well on pixel-based screens, because of the thin and small serifs. How about, can it be read at a distance? Can the font be scaled? When we say that each font has occasion for its use, we aren’t just speaking to the gala or subway it will be displayed in. We’re also talking about functionality. This is where we talk about body typefaces vs display typefaces. Body typefaces are meant for body textbooks, newspapers, magazine articles. Which means they need to be readable at a small size, and not distracting. Whereas display typefaces- like star typeface- are never suitable for lengthy reading. This type of font screams at the audience and often gives off the vibe that it should only be used for Christmas cards. If you can’t decide out of the numerous and very outspoken fonts, you can always choose a workhorse font. Workhorse fonts are extremely versatile because, though they are unique, will fit most types of projects. These types of fonts can often be selected in bold or light, narrow and small caps and everything in between. It’s this variety that allows you to use the same typeface in different styles for the same project. It helps to keep a message cohesive, while still visually pleasing and attention-grabbing. There may be times that you want to combine fonts or use two different fonts for a more layered effect. Combining fonts can be very attractive, and give dimension to your add, making it appear less monotone. Determining what font to use when you want to combine them can be tricky, but selecting from your workhorse fonts may make that easier. Of course, you don’t have to pick a workhorse font to combine them, you just need a transitional font. Two fonts that look similar to each other, but different, and that transition well from one to the other. A font design doesn’t necessarily have to be too similar though. Selecting fonts with a common denominator, such as the width of the letters, or have a similar underlying structure can also work. Giving each font a specific job can also make the differences in the fonts less jarring by telling the reader where to look. An excellent font design flows in such a way that each part catches the reader’s attention in a particular order. So, Where Do You Find Fonts? There may be a huge list of fonts readily available in your word document font selection tab, but there are thousands more that need to be purchased and downloaded to be used. Google Fonts is an entire library of 900 libre sturdy licensed fonts available to download for free. Other free sources include Dafont, Fontspace, 1001 fonts, and Font Squirrel. With all this information, we hope that the question of “What font should I use?” is easier to answer. You now know that a font should be chosen based on occasion, message, audience, and medium. 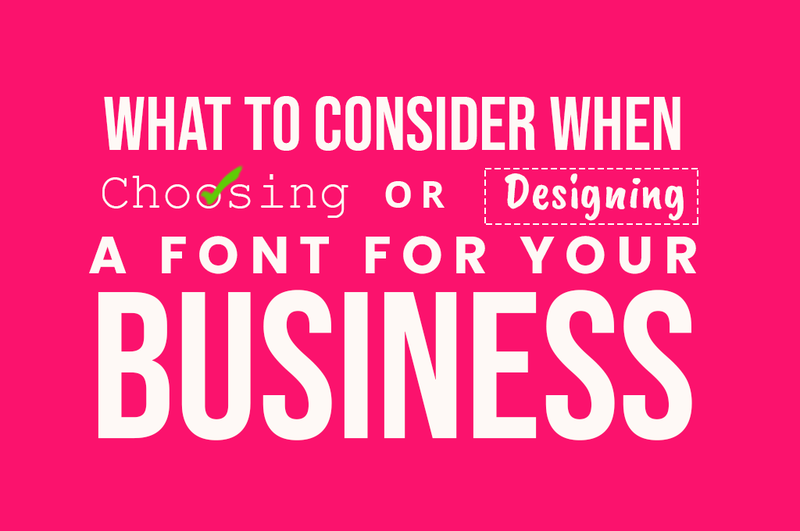 And while you have that in mind, are you ready to start choosing a font?